Just as expected, the Chinese phone juggernaut Oppo took the stage in Beijing this afternoon to demonstrate two exciting new technologies that could be making their way in future phones. Back at MWC 2017, it demonstrated for us 5x optical zoom on a phone prototype, done by using a periscope-style lens inside the body. Today it doubled the abilities of said technology to 10x hybrid optical zoom, "covering from super wide angle to telephoto" this time around, and employing dual optical image stabilization throughout the kit for clearer shots. 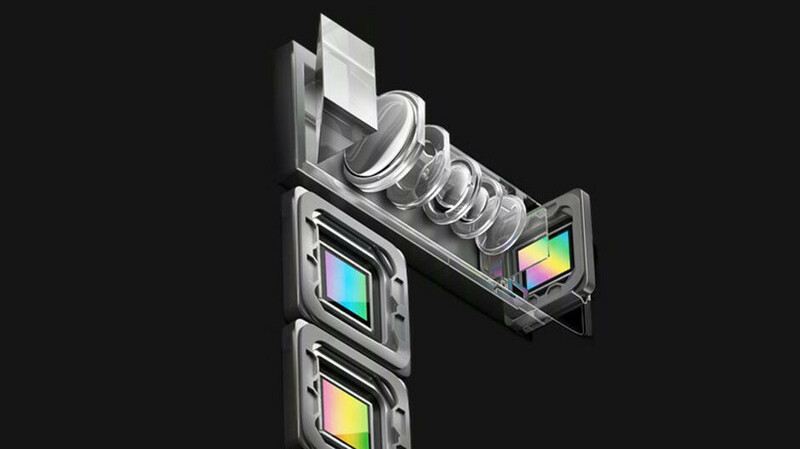 Thankfully, Oppo said that the 10x zoom tech is in a commercial stage already and ready for mass production. Hey, it's their 10th anniversary, after all, so why not offer 10x zoom! The company will be showcasing its abilities at the MWC expo next month and we will be there to test it for you. Initially the sensor will be located in the bezel area of the cover glass where the button was located. The next step is placing the sensor in the lighted display area, likely in a fixed location at the lower edge just above where the bezel is today... Phase 3 is the ultimate goal of fingerprint scanning on mobile devices. Full in-cell integration of the display with touch navigation and fingerprint scanning will enable persistent authentication that is performed continuously in the background, and in a way that is totally transparent and unobtrusive to the user. After all, the Holy Grail of such scanning is that you can apply your digit anywhere on the screen and still get it recognized. Oppo's biometric demo is not quite there yet, but it still enlarges the active area where your thumb's print can be recognized 15x, compared to regular scanners, making it inherently easy to unlock your phone without even looking down. Asking honestly, what is so important about 10X optical zoom? Why do you need to zoom in so much? Apple and Samsung eating the dust of Chinese innovation. What a time to be alive. Don't pat yourself on the back too much. The technology in this 10x zoom comes from an Israeli company which is now owned by Samsung. Yep, it's Samsung tech in there. Finally. No more 5 or 6 cameras on the back making the phone look like it went thru a drive by shooting. This is the dream. Just get rid of that teardrop.